We share our planet with more than we know. How many of us realize giant squids are totally real? Or that most life on Earth consists of fungi like mushrooms? 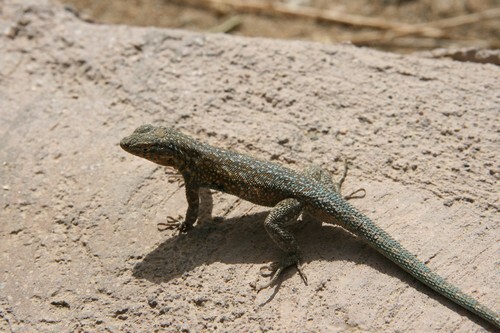 One group of animals all around us, but perhaps too often ignored, are lizards. Associated with wastelands and dangerous jungles, in fact they can be found pretty much everywhere. While some do indeed count as almost too dangerous for words, others are favorite pets. Generally, however, these creatures are more interesting than one might at first assume. 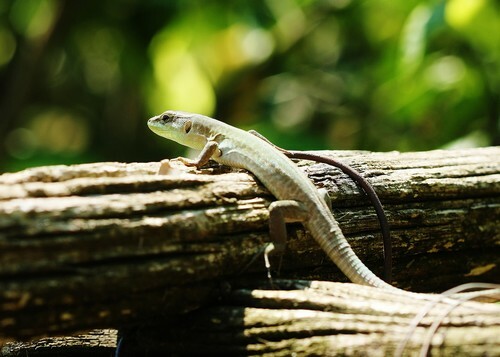 Far more, here then some interesting facts about lizards to add to your general knowledge (and your arsenal in any game of Trivial Pursuit). Lizards are ubiquitous, found naturally on every single continent except Antarctica (unless certain wild speculations about lakes deep under the ice prove true). “Dinosaur” means “terrible lizard.” Despite the name, the ancient animals that ruled the earth were not lizards at all. Yes, snakes and lizards are related to one another. They are both of the Squamata Order. This distinguishes both as scaled reptiles. Some lizards have brightly colored detachable tails. Popular theory holds this as to attract the attention of predators that will hopefully attack the tail rather than the body, allowing the lizard to escape. Over six thousand different species of lizard call this planet a home. No one knows how many exist on other planets yet, but there are evidences that shown they have been on earth for more than two hundred million years ago. Climate change seems to pose a specific threat to viviparous lizards, that is the lizards that retain embryos within the mother’s body rather than within eggs in nests or the like. This is an adaptation to colder climates and as temperatures change, dozens of species may face extinction. Of all animals, lizards show the greatest variety according to zoologists and cladologists. Dragons are real. They exist in Indonesia, taking their name Komodo dragon from one of that archipelago’s islands. Reaching up to ten feet or three meters in length, these are considered the largest known living lizard. the Komodo Dragon usually catches large prey such as pigs by surprise attack or ambush. Studying lizard venom such as that of the fabled Gila monster offers hope of inventing health-giving drugs for humans. Proteins within the venom hold the key. These specifically impact how an organism operates, and by figuring out how these proteins accomplish this. scientists believe they can use this information as a template of how to do something similar, but with positive effects. Probably the largest lizard of all time lived at the time of the dinosaurs, the oceanic predator mosasaur which could reach a length of 17 meters that’s over forty feet—bigger than many whales. If any survived to the modern era, we would have zero doubt about the existence of sea monsters. The lizard’s ability to regenerate tails, limbs, even spinal columns remains an awesome fact which continuously being studied by scientists. 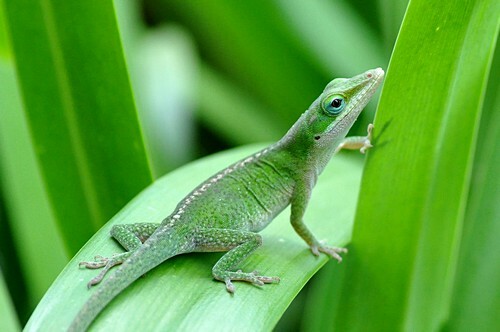 lizards have the ability of dedifferentiating cells which means existing cells at the base of the tail, or the base of the break along the tail, go back to a more primordial cell, similar to a stem cell. What distinguishes lizards from snakes is the presence of legs and external ears. Monitor lizards never exhale. As bizarre as this sounds, it is not uncommon. Birds have a similar breathing system and many scientists believe, so did dinosaurs. The air is inhaled, but flows out passively once a complete circuit of the lungs is complete. Of all large animals on the planet—as opposed to microscopic organisms—lizards evolve more quickly than any other. Major changes in their phenotype (the physical structure of the animal) have been observed occurring and becoming dominant in mere decades. A species of night lizards native to the Mojave Desert exhibits some of the same kind of social behavior—such as huddling together for warmth—as mammals. More they seem to be bound together in social bonds. Most lizard species tend to live lives as loners, avoiding other lizards when not breeding. 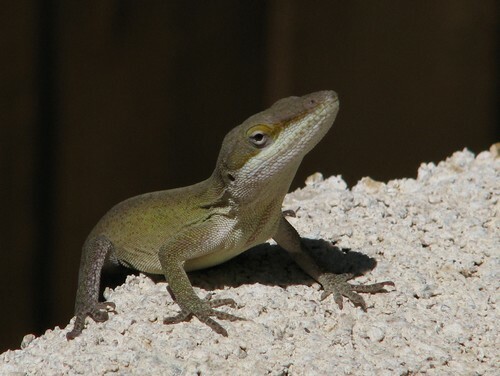 Lizards are cold blooded—that is, they do not generate heat but absorb warmth from their environment. Which also means that their behavior varies greatly based on climate. In the desert, for example, they tend to be nocturnal. In Colder areas, you may often see them active during the day and resting at night. For this very reason, watching the change in lizard behavior can act as a barometer for climate change. While various species fall into the category of “giant lizards” this adjective remains very subjective. Most such reach perhaps only two feet in length. Researchers discovered that a young lizard’s very first meal can have a startling impact on the rest of the animal’s life. In a nutshell, difficult first meals usually result in a more active, aggressive one while easy ones can lead to a slower, more patient lizard. 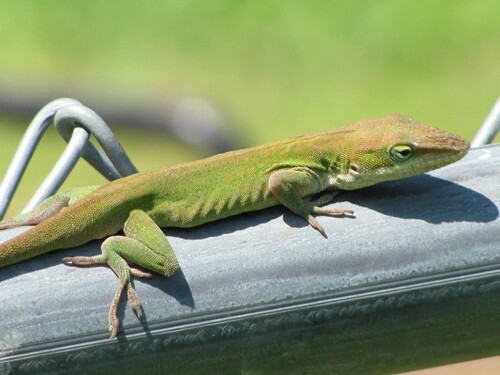 There is no standard diet for lizards since there are so many types of them but they mostly eat insects like flies and crickets, they also eat snails and caterpillars. there are type of lizards that eat fruits and leaves. Chameleons are native to Africa, Asia and Southern Europe. However, they have spread successfully to the Western hemisphere. Iguanas on the other hand, are native to the America. Their name derives from the name the local Taino (a Caribbean people who initially met Christopher Columbus) give to the species—iwana. Some early motion pictures, unable to afford the labor-intensive stop motion process, filmed close-ups of actual lizards for movies set in the age of dinosaurs. Lizards do communicate with one another, albeit in terms of very simple messages, usually in summoning potential mates or warning off rivals from territories though very rarely that lizards use this sound. Smell, touch and visualizations are far more common. Only some chameleons are able to change color. However, those that do can often change the patterns of color on their skins as well as the shade. The animated series/superhero spoof briefly featured a superhero known as the Caped Chameleon. He was seen once crawling along a wall, sneaking up on a group of bank robbers who could not see him because he blended so perfectly against the background. However, he passed out in shock when passing over a piece of plaid artwork. Some lizards have a third eye, not usually well developed though, called a parietal eye, it is associated with the pineal gland. A few snakes and other organisms have them as well. Although termed as their own group, the crocodilians, alligators are indeed reptiles albeit semi-aquatic in nature. However, there are also creatures called alligator lizards which despite the name and some shared characteristics are not in fact alligators. Believe it or not, one specific lizard is an internet star. His name? MacGyver. He is an Argentine Red Tegu, hatched at a farm in Florida, it all started when someone posted a video on the internet of his friendly behavior and exotic appearance, thus his fame grew. Today he has his own website, Facebook and Twitter accounts and even his very own YouTube channel! As the name of his species suggests, he is bright red. Among other things he’s known for cuddling by his owner like a dog. 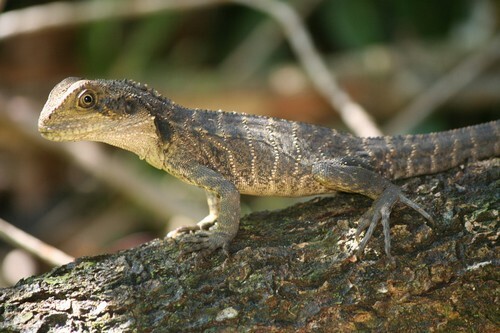 Most scholars accepted that the first known lizard to be Tikiguania estesi, which lived over two hundred million years ago in the so-called Triassic Period. Fossils of this creature have been found in what is today India. Interestingly, this species strongly resembled a modern iguana, although on the small side. As far as paleontologists can tell, the creature’s essential phenotype remained stable for millions of years, an unusual but not unheard of event. 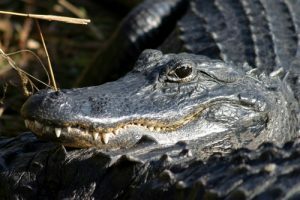 Alligators and sharks likewise hardly change much over time. “Mozilla” is best known as an internet browser, but prior to that is was a lizard—specifically it was the official mascot of the (now defunct) Netscape Corporation, its name derived from “mosaic killer” with a nod to the Japanese Kaiju Godzilla. The mascot was a green and purple (later red) lizard resembling a cartoon Tyrannosaurus rex. The mascot has since been officially retired. Although legs are one of the defining characteristics of lizards in general, a group of legless lizards do in fact exist. They have atrophied limbs to the point of uselessness or have evolved to become limbless over time from species that used to possess them. In appearance they do strikingly resemble snakes, but are not related to any snake species. Hence their classification as lizards. 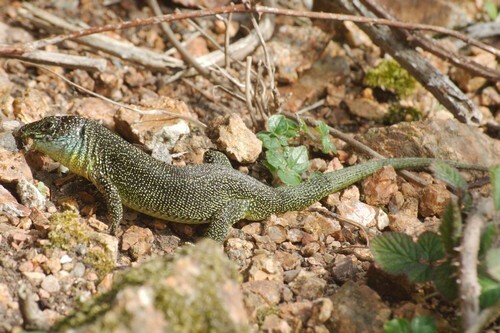 Examples of these type of lizard can be found in Asia, Africa, Australia as well as North America. One out of five lizard species may be extinct within seventy years, according to scientists. These researchers spent over a generation studying the populations of lizards in Mexico and based on seemingly minor changes of temperature over ten percent of such species died out. 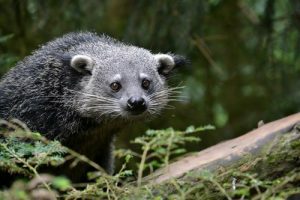 Using the same model, they predict an even greater rate of extinction worldwide well before the year 2100. 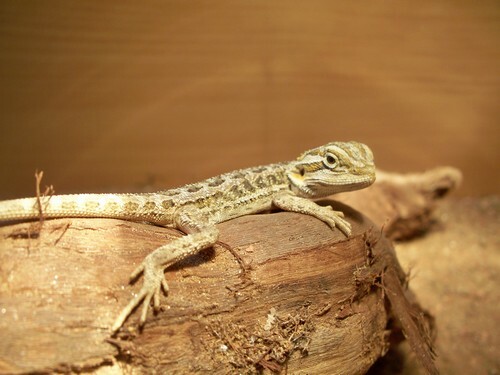 There are also studies that if global warming continues at the same rate, there will be lizards that will face extinction in the next few decades, the viviparous lizards.